Using a traffic light system, In Hand acts as a digital friend to help you in times of stress or low mood. Taking you through different activities depending on how you're feeling, In Hand aims to focus you on where you're at and bring back the balance. 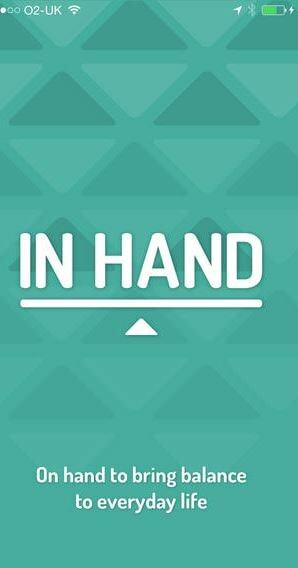 In Hand is designed to give users advice on what to do when they are not feeling great. 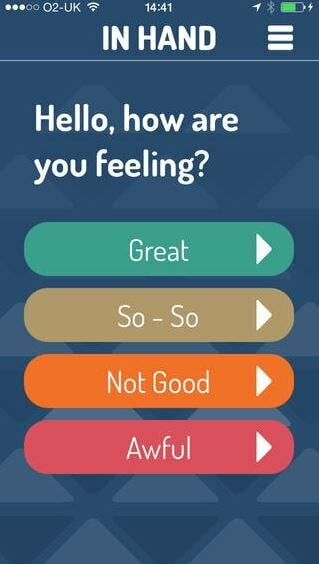 When you open the app, you are asked how you are feeling and given 4 options: Great, So-So, Not Good, Awful. The Great and So-So options gives you an inspirational message, that you can share on Facebook or Twitter. 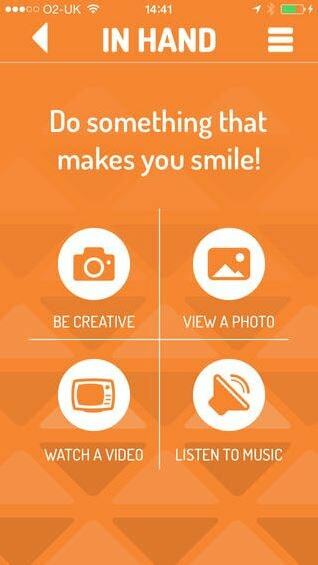 The Not Good option gives you 4 things you can do to make you smile: Be creative, View a photo, Watch a video or Listen to music, from your own collection, stored in your phone. The Awful option suggests writing it down or talking to someone, this could be a contact that you set up or the Samaritans which are based in the UK. I liked the options it gives when feeling Not Good or Awful. I also enjoyed some of the quotes that it had when feeling Great and So-So. The feature to share the inspirational quotes on Facebook or Twitter is a nice way to share some happiness on social media. The bright colours are nice, it allows you to use your own pictures, no sign up required, it's straightforward and easy to use, good that you can include relevant phone numbers numbers. Some more content would be nice in some of the categories- for instance a meditation audio. I also would have liked there to have been some pictures, music, etc already on the app. Also, the only contact number they have is for the Samaritans (the UK one)- so would need to be aware of that. The brightness of it and how easy it's to use.